This family tour is perfect for families during the long school holidays in summer for families who are into surfing. 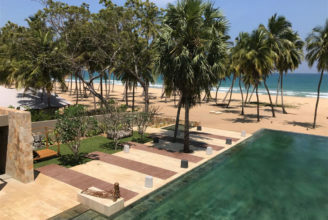 Discover Sri Lanka on a private, tailor-made tour and experience the best surf spots and the most exciting attractions. 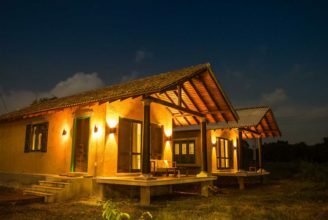 Surf at one of the best surf spots in the world at Arugum Bay, climb Sigiriya Rock Fortress, taste the world famous teas and spot magnificent elephants and leopards during a jeep safari in Wilpattu National Park. Based on Family of 4 sharing 2 rooms. “Ayubowan” & ‘’Vanakkam’’ Welcome to tropical paradise. You will be welcomed and greeted by your guide or The Earth Trip representative on arrival at the waiting area at Colombo International Airport. 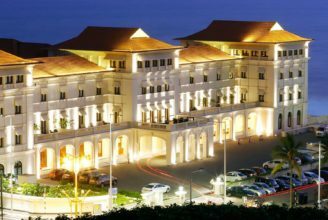 You will be transferred to your hotel in Colombo. Discover the sights of the capital of Sri Lanka by tuk tuk. 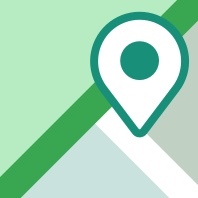 You will see Colombo Fort, Independent Square, Old Parliament, Pettah Bazaar and Galle Face. Colombo Fort is the business district of Sri Lanka with skyscrapers and big international hotels. The Fort was built by the Portuguese and partly by the Dutch, then the British later took control. In 1870, the British destroyed the Fort for urban development, and then they rebuilt some of the remaining buildings within it now. 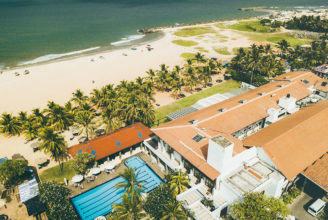 Colombo Fort is home to the Fort Railway Station, the President’s House and the Presidential Gardens, a palatial neo-classical building which was originally the home of the British Governors and is now the residence of Sri Lanka’s President. Independence Square is known as one of the most prominent locations in Colombo. It is commonly used as a place where Sri Lankans come together in unison for significant national celebrations and cultural activities. The Independence Commemoration Hall is also used to host ceremonies that mark national unity. This unique and outstanding monument positioned in the heart of Sri Lanka’s commercial capital Colombo, commemorates the country’s independence from foreign rule. Sri Lanka gained independence on the 4th of February 1948 from the British who were the final colonial rulers of the country. You will travel to your accommodation at Sinharaja Rainforest National Park with your driver. After an early breakfast take a walk into the wilderness, where time stands still at this UNESCO World Heritage Site. Sinharaja Rainforest National Park is a treasure trove of natural wonders encased by sheer wilderness waiting to be discovered. Here you will be welcomed by a thick air of humidity, the incessant noise of birds and insects, and an endless canopy of tall trees. Sinharaja Rainforest National park is a primary tropical rainforest and biosphere, regarded as a biodiversity hotspot in Sri Lanka. More than 60% of the trees are endemic and many of them are considered rare. In Sinharaja you can spot endemic mammals, bird species, butterflies, insects, reptiles and rare amphibians. As well as an interesting spectacle known as ‘bird wave’, where birds tend to move in mixed feeding flocks, invariably led by the fearless Greater Racket-tailed Drongo and the noisy Orange-billed Babbler. These are just two of Sri Lanka’s 26 endemic birds that can be found here in addition to the 20 rainforest species, including the elusive Red-faced Malkoha, Green-billed Coucal and Sri Lanka Blue Magpie. You will have an opportunity to swim under the waterfall or river. Along the way you will visit a remote community cut off from the rest of the world. There are more than 20 communities that live in Sinharaja Rainforest and their livelihood is dependent on this forest. You will be able to enjoy the Kitul ‘palm syrup’ made by these communities. Today you will travel from Sinharaja to Ella. Ella is described as one of the most breathtaking locations in Sri Lanka. 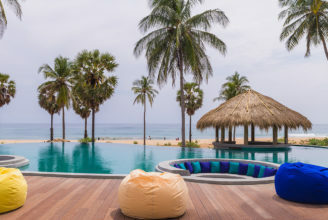 Ella is surrounded by high mountains in the central hills and through a gap in the mountains you can see all the way to the ocean off the Hambantota coast line. This special gap with breathtaking views is called Ella Gap. Today you will experience one of the most breathtaking train journeys. You will travel from Ella to Haputale through tea plantations and rolling hills on a scenic train. This train journey is recorded in the Guinness Books of Records as one of the world best scenic train journeys. Your guide will pick you up at Haputale Station upon arrival. You will then visit Lipton’s Seat and Dambatenne Tea Factory. Lipton’s Seat is located on the top of Poonagala hill; this is quite literally the point from which the Scottish tea baron Thomas Lipton would often proudly survey his tea plantations. On a clear day it offers a spectacular view of the mountain ranges, lakes and valleys all the way to the southern coast. 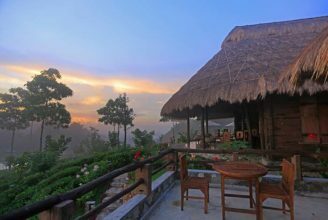 You can hike to the point through lush tea plantations or you can opt to drive up in comfort with your guide. Visit to Dambatenne Tea Factory – it was built in 1890 by Sir Thomas Lipton himself, this colonial tea factory is still in operation today. The term “Ceylon Tea” was coined here, and Lipton’s Tea was founded and sold its first pound of tea from the precincts of this very factory. The factory tour is an education in the intricate processes involved in the fermentation, rolling, drying, cutting, sieving and grading of tea, and the comprehensive tour culminates with an authentic tea tasting experience. Please note it is closed on Sundays. Today you will travel to Arugam Bay, Sri Lanka’s surfing hub in the South East. A crescent shaped bay in the dry zone of the island, it sees little rain and plenty of sun soaked days. Arugam bay is a beginner and intermediate surfers dream with an endless supply of right hand sand bottom points. The area is extremely beautiful and is the most traveller friendly and surfer friendly zone in the region. In the afternoon visit the small Lahugala National Park. The park is comprised of Lahugula Tank and a magnificent swathe of dry mixed evergreen forest, dotted with lofty rosewoods and satinwoods. The park is best known for its elephants where up to 150 congregate during July and August. The park also promises chances of spotting varying species of deer and members of the cat family like the Sri Lankan leopard and fishing cat. The tank is good for spotting a wide variety of aquatic birds. In the evening have a relaxing sunset walk to nearby Crocodile Rock. From a distance the rock looks like a pair of sun bathing crocodiles. The area has a wild environment, with elephants roaming around and eagles sweeping overhead. Today you will travel from Arugam Bay to the pristine Kalkudah Bay in the east. Rest of the day at leisure. Today your family will enjoy a tour of the ancient city of Polonnaruwa. Polonnaruwa was the medieval capital of Sri Lanka, and today it is one of the most beautiful centres of Sri Lanka’s cultural heritage and a UNESCO Heritage site. With its comparatively brief history and a dozen rules, it has far more complete preserved ruin than Anuradhapura. Visit the ancient ruins and Gal Vihara complex, where 3 gigantic Buddha’s statues are carved out of a single rock. You also will be able to see the toque macaque monkeys, found only in Sri Lanka. 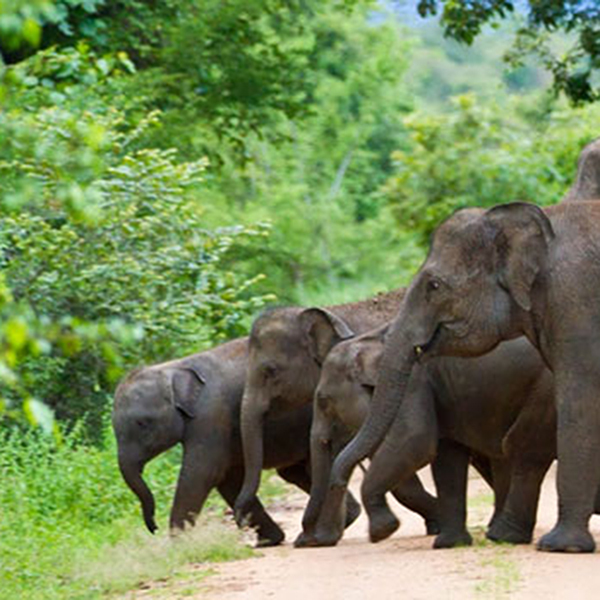 Climb the magnificent Sigiriya Rock and see the elephants at Minneriya. Afternoon drive for a safari to see the elephants at Minneriya. Dambulla Golden Rock Cave Temple is a vast isolated rock mass 500 ft high with 1.6 kilometre around the base. The impressive Rock Temple dating to the first century B.C is found here. The caves of Dambulla sheltered King Walagamba during his 14 years of exile from Anuradhapura. When he regained the throne, he built the most magnificent of Rock Temples to be found on the island. The complex consists of five caves with over 2000 square metres of painted walls and ceilings. It is the largest area of paintings found in the world. It is a UNESCO World Heritage site. In the first cave is a recumbent image of the Buddha 14 metres long, cut out of the Rock. There are images of deities associated with Buddhism all around. The frescoes on the ceiling date back to the 15th – 18th centuries. In the second cave, the finest and the largest of all, there are 150 life-size statues of Gods from the Buddhist religion along with numerous images of the Buddha himself. Afterwards you will travel to your accommodation in Wilpattu. 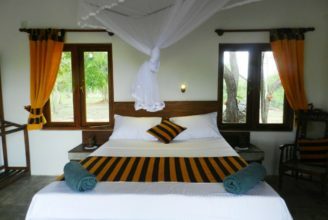 In the morning you will take a full day safari to discover Wilpattu National Park. Wilpattu National Park (‘Land of Lakes’) is situated on the Northwest coast near the ancient city of Anuradhapura. It is the largest and oldest National Park in Sri Lanka, consisting of 140,000 hectares of mostly dry zone evergreen forest cover and a coastal belt to the West. This is one of best places to see leopards in Sri Lanka alongside Yala National Park. The open grassy plains are set within the thick dense scrub jungle. The wetland includes around 48 shallow natural lakes known as Villus, natural basins that are filled up with rainwater and two salt water lakes. These natural lakes are the most important parts of the complex eco-system in the park. The park is home to elusive leopards, elephants, sloth bears, water buffalos, Mugger Crocodiles, Spotted and Barking deer, wild boar and pythons. Alongside these wild animals you may be able to see many endemic birds include the Ceylon Junglefowl, Brown-capped Babbler, Ceylon Woodshrike and Black-capped Bulbul in riverine habitats. Butterflies recorded include the Great Eggfly, Great Orange Tip, Glad-eye Bushbrown, Blue Mormon, Common Mormon, Common Rose and Crimson Rose. Diverse varieties of colourful butterflies can be seen in the park as well. 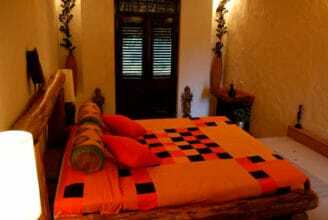 You may see the wild animals, particularly elephants, near lakes in the early morning and late afternoons. The wildlife is abundant around the lakes and coastal belt, here you may spot the White Ibis, Open Bills, Painted Storks Spoonbills, Egrets, Whistling Teals, Kingfishers and you may also see the water buffalos, monitors and crocodiles. You will be transferred to Colombo Airport to fly home. Travel time will be approximately 45 minutes.